Seal the deal by treating your clients to a lunch in the sky. Click here to view make a reservation now! LET LOOSE AND MINGLE, 22 FLOORS UP! the Tower Club has served as Ventura County’s upscale playground for over 30 years. but also over 100 of our partner clubs. Ready to live the high life? Joining is simple! Fill out our application online or in person. or any other private function, the Tower Club is your perfect fit. NEW MEMBER SPECIAL – LIMITED TIME ONLY! Enjoy access to over 175 Partner Clubs across the globe! Socialize with Mix & Mingle opportunities, – 22 floors up – happy hours, Holiday events, wine tastings and more! The Tower club is well known for fine cuisine, our beautiful sky lounge, and signature activities and events. Members enjoy access to a unique setting with 360 degree breathtaking views of the Oxnard Plains, Pacific Ocean, and Channel Islands. Situated in the heart of Ventura County’s financial district at the top of the tallest building between Los Angeles and San Jose. The Tower club is well known for fine cuisine, our beautiful sky lounge, and signature activities and events. The Tower Club has been a calm and elegant oasis for over 25 years. For over a quarter of a century, the movers and shakers of Ventura County have sipped martinis and champagne from their privileged aerie atop the Tower viewing dazzling sunsets and watching as the 20th century made way for a new millennium. But it’s been more than just a luxurious room at the top with the breathtaking scenery of the Pacific Ocean and the community’s shrinking farmlands close enough to reach out and touch. The Tower Club was born under the tutelage of larger-than-life Oxnard real estate developer Martin V. “Bud” Smith who long ago decided anything London, New York, or San Francisco could do, he could do better. Thus the Tower Club evolved into an exclusive site for Ventura County’s “in crowd” rivaling the best of any club in the country. As Ventura County began to hit its stride, it was the visionary real estate tycoon Smith who decided to open a stylish private club where he and other industry leaders could shoot the breeze, talk business, relax, and unwind. “My dad’s life revolved around his companies,” recalls Cindi Daley, one of Smith’s four daughters. “And his friendships through business were many. He wanted a city club and he wanted Ventura County to be first with the club.” Smith was never sheepish, recalls former Ventura County Supervisor Ralph “Hoot” Bennett. Bennett noted that Smith originally opened a restaurant on the ground floor of the Financial Center’s first office building; however, when the second taller skyscraper was completed, he swiftly moved “upstairs” to the 22nd floor. 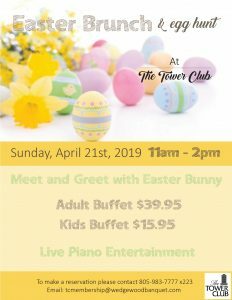 The Tower Club is now under the stewardship of The Wedgewood Wedding and Banquet Center, a multiple facility club and banquet services company. The Wedgewood team is committed to maintaining The Tower Club as one of the most luxurious venues in Southern California. Local business leaders can enjoy a lunch while enjoying the panoramic views. There are popular wine and champagne tastings paired with acclaimed cuisine, world-class entertainment, and over 200 activities and special events each year. The Tower club will undoubtedly have many more stories to tell. Membership has it’s benefits, join today! DINE Ventura County’s power lunch destination! Seal the deal by treating your clients to a lunch in the sky. The Tower Club is where Ventura County’s movers and shakers come to get the job done. SOCIALIZE Mingle 22 floors up! Known for its extravagant parties and bustling soirees, the Tower Club has served as Ventura County’s upscale playground for over 30 years. RECIPROCAL CLUBS Span the globe! Membership at The Tower Club is so much more than meets the eye. Joining the club gives you access to not only our Ventura location, but also over 100 of our partner clubs. See what members are saying about The Tower Club. I am happy to say that I have been a member of the Tower Club since shortly after its opening. My sister, vocalist Jeanne Tatum, was responsible for me joining the club. She had joined earlier and was very impressed with the service, the accommodations made to members, and the first class status a person receives when there. It is amazing to me how many people I have had as guests at the club who were really impressed and had no idea the Tower Club or a place like it exists in Oxnard. The club has afforded me an opportunity to meet new people, network with other organizations, attend plays and even a Polo Match. I really enjoy going to the Tower Club and always consider it a treat to myself and my guests. My wife and I recently got married at The Tower Club and it was amazing! The venue was set up beautifully! Ginny and Angie were awesome and very fun and easy to work with. I know I had so many questions and they answered all of them very quickly! It was so great that they offered packages at The Tower Club (DJ and MC, photo booth, hotel accommodations, and so much more!) It made our lives so much easier and absolutely zero stress trying to find vendors. My wife and I went with their sit-down dinner service for our wedding, and it was delicious! The filet mignon was my favorite part! My wife loved the chicken! All my guest loved the food!! I would definitely recommend anyone that is thinking about booking them for your wedding!! Such a spectacular view!! You could walk into any part of the reception area and take really good pictures! The staircase was my favorite spot to take pictures! If anyone books this place, be sure to look for Ginny and her partner Angie. Around the Club with Shane. PLEASE RESERVE YOUR TABLE BEFORE YOU COME! 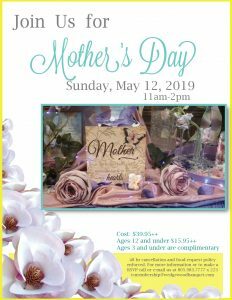 You can call me at 983-7777 x 223 and leave a message, email me at tcmembership@wedgewoodbanquet.com or even text me at (805) 444-0161. 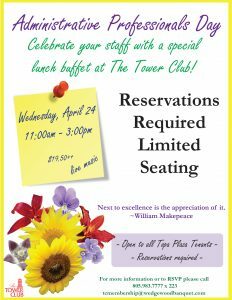 Celebrate your staff with a special lunch buffet! Enjoy live music! Have you booked your lunch or party yet? Reserve your date today. Are you and your business located in the 300 building of Topa Financial Plaza? Why not call in your lunch order and we’ll deliver it down to you. We have several members who take advantage of this service. Simply call or email me with plenty of advance notice and we’ll do the rest. Business casual dress is required for lunch in our member’s dining rooms. 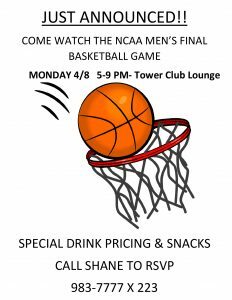 Jeans and golf attire (collared shirts and golf shorts) are allowed in the Sky Lounge.